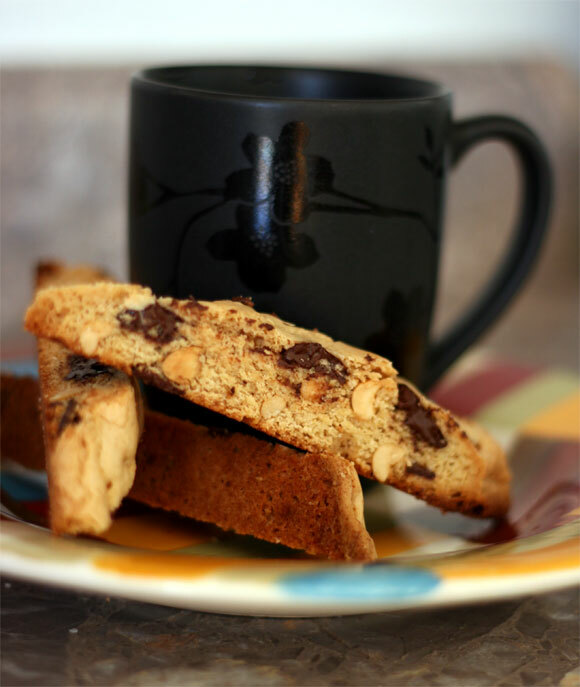 Peanut Butter and Dark Chocolate Biscotti is a super delicious and crunchy treat that goes great with coffee. We sure drink a lot of coffee in our house! 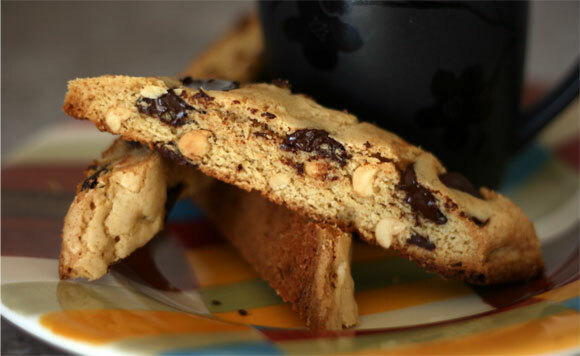 These Peanut Butter and Dark Chocolate Biscotti have just the right amount of delicious! Preheat oven to 350°F. 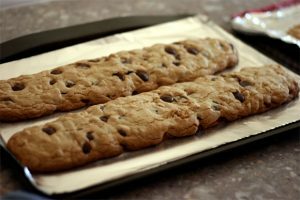 Line 2 large baking sheets with foil or parchment paper. Melt butter over medium heat in a small saucepan until browned and smells nutty, about 5 minutes. Whisk together flour, baking powder and salt together in a medium size bowl. Beat eggs in a large bowl until light yellow, about 2 minutes. While mixing, add sugar then butter and vanilla. Mix until combined. 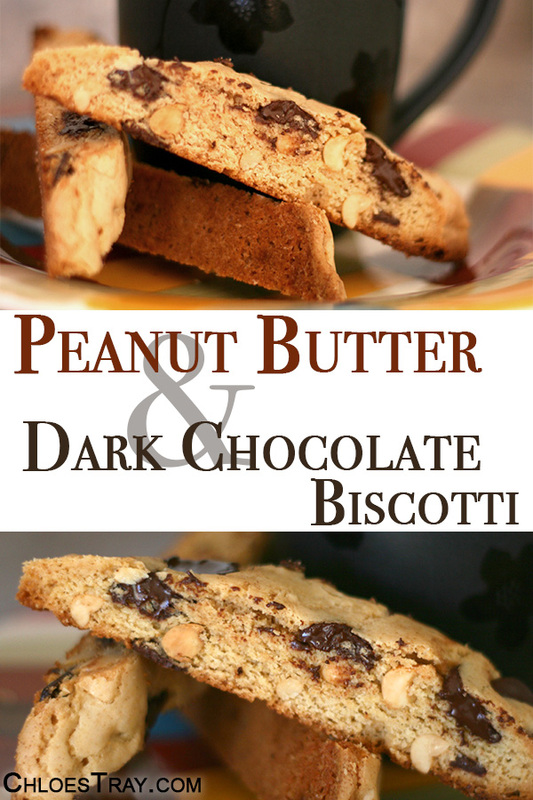 Mix in peanut butter until evenly combined. Add the flour mixture in 2 additions, mixing to combine. Stir in peanuts and chocolate. 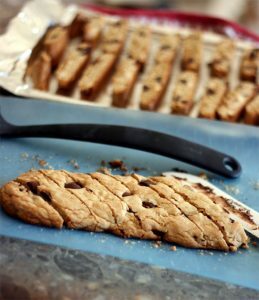 Divide the dough in thirds and shape into 15 inch by 2 inch logs on the baking sheets. Bake until set and browned around the edges, about 25-30 minutes. Rotate baking sheets halfway through baking. Remove from oven and let rest 10 minutes on the baking sheets. Cut into 1/2 inch strips at a 45 degree angle. Place the strips cut side down on the baking sheets. Bake for 8 minutes, flip them and bake an additional 8 minutes. 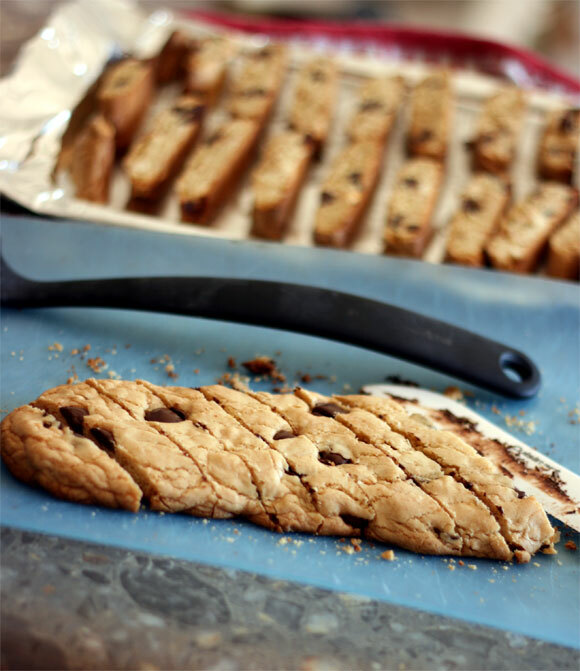 Cool on baking sheets.